If you’re planning to look for a new home sometime in the future, you may be wondering how long the process will take. How much time should you set aside for viewings? How many of the listed homes should you see? One factor that impacts the home shopping process is how clearly you know what you want. For example, if you’re certain you want a three bedroom backsplit, in an upscale neighbourhood, then the process is going to be fairly simple. 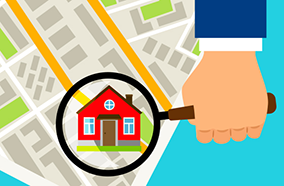 You’re just going to view properties that closely meet those criteria. But if you’re the kind of person who simply says, “I’ll know it when I see it”, then you’ll need to look at several homes on the market. That means carving out plenty of room in your schedule for viewings. As your REALTORS®, we can help you understand what’s available on the market and which homes are worth seeing. We can also help you determine how long the process will likely take, and show you ways to make the process go more quickly and smoothly.